Php tools for your daily work. PhpED is the Integrated Development Environment for PHP, HTML, CSS, XML, SMARTY, XHTML and other. All you need for your daily work. Pick what you really need. PhpDock allows deploying PHP web application as a standalone Windows Desktop application w/o any changes in the code. Deploy as Windows Desktop App. Driven entirely by user demands. Use of PhpDock in the wild. A powerful PHP Encoder for compiling PHP for accelerated runtime performance and maximum security. Full support for PHP 5.3. 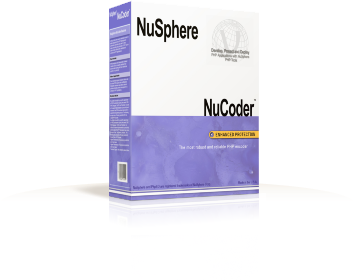 Functions and usage of NuCoder. PHP accelerator that provides support for loading of PHP files and speeds up the execution of regular PHP files. Functions and usage of PhpExpress. Distribution of the latest Apache web server, PHP, Perl and with other necessary development and administrating tool. Optimized for your developing needs. Perl, PHP Debugger and more. 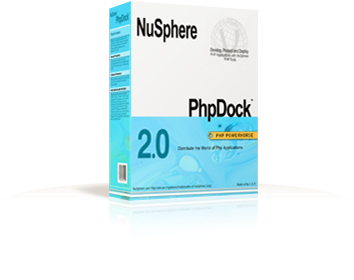 NuSphere is provider of the best PHP Tools, the home of PhpED - state of the art PHP Editor. Thousands of people use our tools including our PHP IDE with the leading debugging tool for PHP. Now Shipping: PhpED Version 19.1! PHP Editor/IDE and PHP Debugger come with full support for PHP 7.3 and Code Coverage integrated with phpUnit. PHP Editor is lighting fast with new set of PHP Tools. Support for CodeIgniter 3.x is available with updated PHP Frameworks, as well as an ability to remotely launch phpUnit in Remote Projects and lighting fast intellisense. New release - 7 days of sale! PhpED is a proper, world-class IDE for PHP code. It is the only IDE worth considering if PHP development is your primary job. "PHPEd has sped up our work speed by at least 50% - especially if the code is a little more complex working with PHPEd is a big reward for the person coding PHP as it speeds up debugging and makes it actually fun. 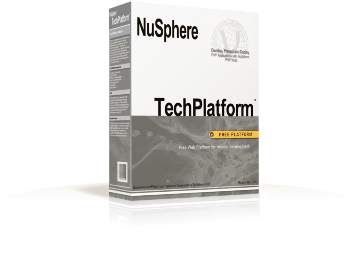 No PHP coder should work without a great tool like that."